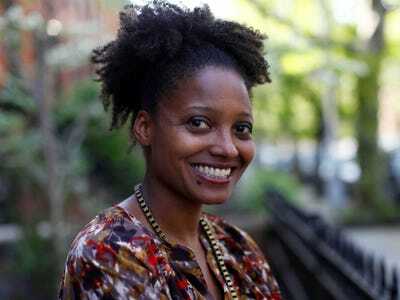 Jason DeCrow/APAward-winning poet Tracy K. Smith. Commuting in New York City is not what I’d consider enjoyable, but every time I read this poem on the subway I instantly perk up. “The Good Life,” written by Pulitzer Prize winner Tracy K. Smith in 1974, is displayed in some New York trains as part of the Poetry in Motion series by the MTA, the city’s transit authority. I first remember reading it in 2013, and have spotted it several times since on my way to or from work. It always strikes me as beautifully simple and oddly optimistic. It also reminds me that no matter what strange smells or petty frustrations that come with taking the subway every day, or whatever job or life worries that I might carry with me, I’m leading “the good life” — and I’d better remember to savour it.